Thomas and I returned home on Friday after traveling for three weeks to help with two summer camps along the coast of Morocco. Working at Moroccan summer camps proved to be rewarding overall, although there were some major differences between the two camps we attended. The first one was organized around the theme of global peace building and was attended by college students and professionals from 28 countries. We intended to work at this camp (or ‘summit’ as it was called) for five days, but for several reasons only stayed three days. Still, getting to talk with summit participants from countries such as Jordan, Ukraine, China and Ghana was really special. And the training content we helped deliver was thought-provoking and quite relevant to Peace Corps goals. The kids at camp had some great t-shirts. Black Tuna, anyone? The girl who wore this was so sweet! The shirt did not fit her personality at all. Staying ‘SuperDry’ in Japan? In .06? Sure. From this camp we travelled to another town where a very well-established summer youth camp is held each year. This second camp is coordinated by Morocco’s Ministry of Youth and Sports, and camp attendees are between the ages of 13-17. Each summer there are four 10-day sessions of this camp. 80 youth attended our session—drari bzaf (lots of kids)! Including us, there were 15 Peace Corps Volunteers and 12 Moroccan staff members to keep them all entertained. A major focus of the camp is English learning, so the kids attend English class every day. Thomas was one of six PCVs who taught English during the camp. I was one of six ‘Club Leaders’ and created a club session about ‘health and wellness’ that included practicing meditation, yoga and mindfulness activities. Other than these activities, we assisted with various evening events such as a talent show, ‘American Games Night’, ‘Halloween’ and a fashion show. Hiba was one of my favorite campers! When I told Leila I was from Victoria, she said that’s where she wants to go to university! Her brother is there now–small world, eh? The incredible Jamie. Had some great conversations with her over the course of our time at camp. Part of my ‘Wellness Club’ was creating a poster that showed all the ways camp youth stay healthy and balanced. On the days we weren’t working at camps, we visited Essaouira, Casablanca and Marrakech and played tourist. All in all, it was nice to get away from the desert, see other PCVs and help with some tangible work activities given how little happens during the summer here at home. Hugs and good wishes to you all! Sounds like a good time all round. 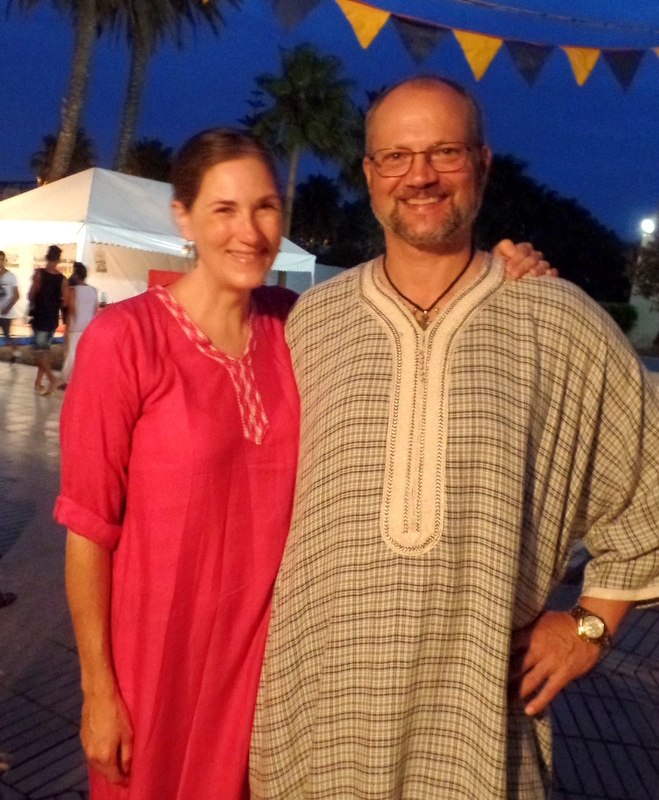 Love those Moroccan clothes. They seem like they would be cool and comfortable. I hope you get to settle down for a bit before the next trip away.